We only have two weeks left for Summer 2017! July 15-22 or Aug 19-26. Horseneck Beach has long been a sanctuary for people who dislike the seasonal congestion of Cape Cod. 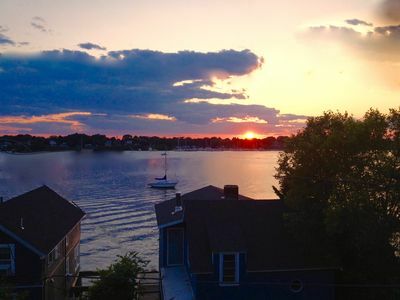 The entire South Coast region of Massachusetts is considered a hidden gem by many. 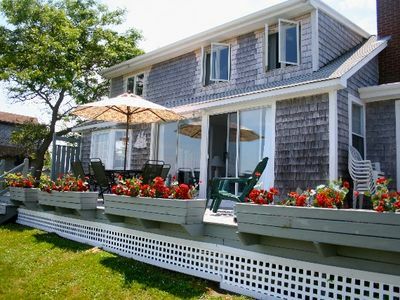 This 4 bedroom beach house is a year-round home just one hour’s drive from Boston, 30 minutes from Providence, RI and 45 minutes from Cape Cod. 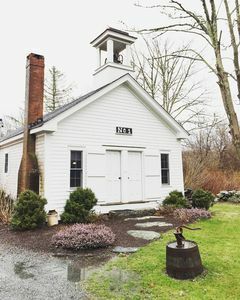 It is also 25 minutes from the Martha’s Vineyard Fast Ferry in New Bedford, MA and 45 minutes from historic Newport, RI should you want to venture out on a day trip. But you may want to simply stay put after reading on! 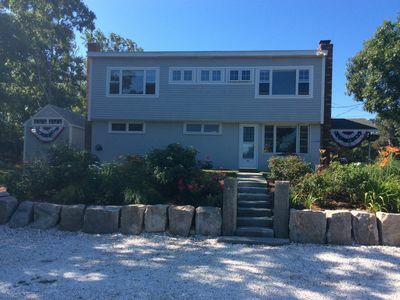 The house is located steps from the dunes between Horseneck Beach and the Westport River and grants you private and public access to both. 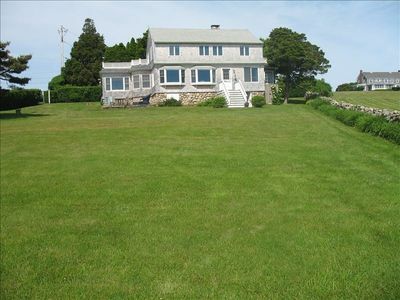 A five-minute walk through the dunes leads you to a private section of scenic Horseneck Beach. 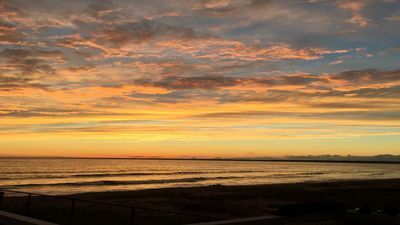 A one minute walk leads to our association’s private dock on the Westport River where you can swim, fish and enjoy amazingly gorgeous sunsets. 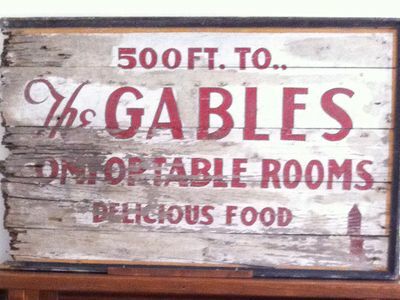 You are less than 1/2 mile from exceptional river front dining at the Zagat-rated Back Eddy restaurant. 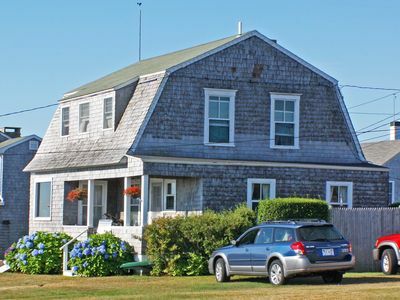 You are minutes away from farm stands and markets that offer outstanding locally grown fruits and vegetables, fresh fish and lobster. There is also a Farmer’s Market every weekend during the summer. 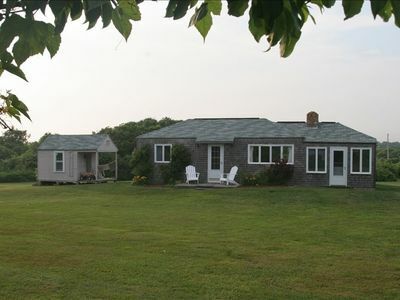 You are close to two respected wineries (Sakonnet and Westport Vineyards) as well as Buzzard’s Bay micro-brewery. All of these offer tours and special events. Groceries are available at Lee’s Market, with a gas station, and take-out restaurants nearby. Should you crave mainstream shopping and activities, the nearby towns of Dartmouth and Swansea, have shopping malls and movie theaters. Local things to do include kayaking, biking, golf, stand-up paddle boarding, boating, sailing, fishing or just relaxing on the beach. There is a full service marina (FL Tripp) within walking distance equipped with laundry. 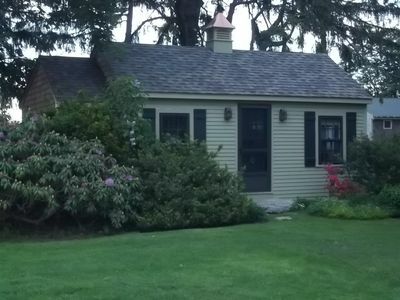 Upstairs, the house has 4 bedrooms, and a full bath. The master bedroom has a king bed. The other 3 bedrooms have a queen, full, and two twin beds respectively. Downstairs has the living and dining area, half bath and the kitchen. 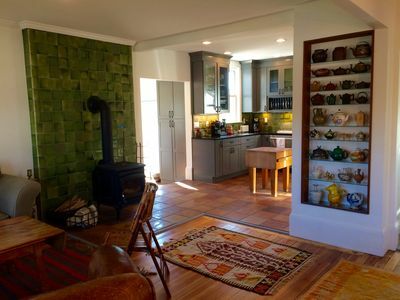 The kitchen has dishes, glassware, pots and pans, utensils for BBQ and lobster boils, and all the usual appliances (electric range, full-sized refrigerator, microwave, toaster and coffee maker) except a dishwasher. There is also an outdoor shower for use during the summer months. A 18 inch Weber Charcoal grill is also supplied. You can start your day with a cup of coffee on the dock, followed by a variety of activities. A morning swim in the River, walk or bike ride, yoga on the beach, boot camp on the beach. 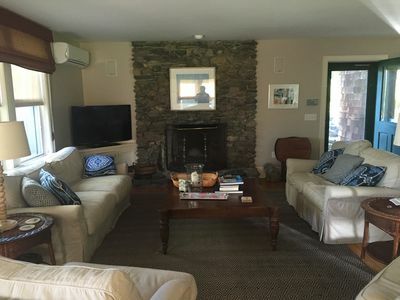 Spend the afternoon on Horseneck Beach, launch your kayaks at the edge of the river or just relax with a book on the porch and enjoy the cooling sea breezes and the sound of the wind through the trees. 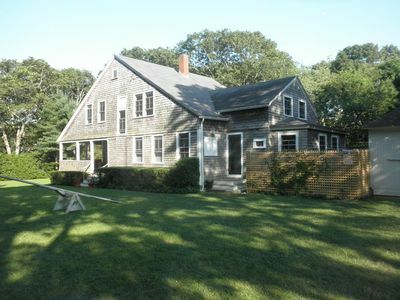 This property is for those that seek the peace, quiet and beauty of the outer Cape and up-island Martha’s Vineyard. 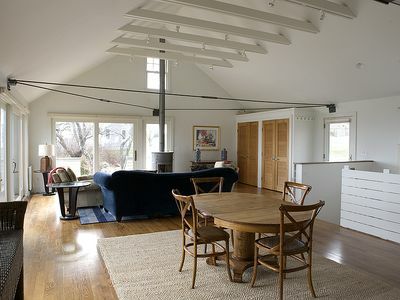 It is quiet, clean and in a location that simply can’t be beat! 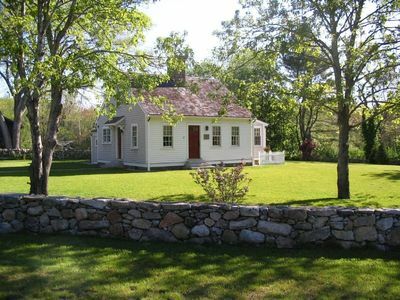 Period Cottage In Idyllic Country Setting, Minutes From Ocean; Pet-Friendly. 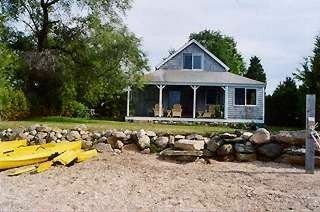 Barekneed Cottage - Nonquitt - Available as a Summer Rental. As Featured in Yankee Magazine- March/April 2019! 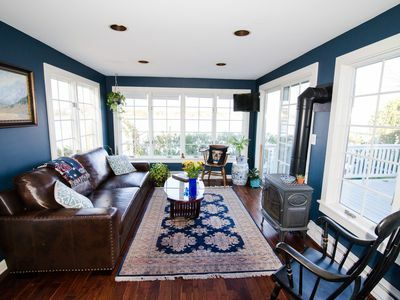 Vacation rental perfect for families in quiet beach town.